GreenCycle is a globally active waste management company, as well as a driver of innovation for new technologies, systems and processes. GreenCycle focuses these innovations in the areas of recyclables, energy management and logistics solutions. We advocate a clean future in which an efficient, closed loop materials cycle protects our environment and creates sustainable value. Our goal: reduce the waste of resources across the entire value chain to zero. As part of the Schwarz Group, which also includes the retail chains Lidl and Kaufland, we pursue the idea of a smart cycle: from the fully recyclable product, to trade and disposal, and finally to sustainable recycling and reprocessing into new products. With our unique combination of trade, disposal and reprocessing, we are pioneers and trailblazers for a clean future. Thanks to over 90 years of experience in trade and waste disposal, a comprehensive network and the performance of the Schwarz Group behind us, we ensure long-term sustainability. Our sales brand PreZero is one of the leading waste disposal and environmental service providers in Germany. With 3,000 employees and over 80 locations, we offer waste disposal services as well as sorting and processing of recyclable materials. Our experts in energy transition and environmental innovations are looking for solutions to deploy renewable energies and drive technologies within the Schwarz Group. GreenCycle markets the Heilbronn Half-Pallet, an innovative logistics solution for trade and industry. Thanks to durable materials and RFID technology, the Heilbronn Half-Pallet is significantly more efficient and resource-saving than conventional wooden pallets. With its expertise in the recycling industry, GreenCycle is a co-creator of the Schwarz Group’s plastics strategy. As part of this strategy, the Group is dedicated to the avoidance, design, recycling, disposal and innovation of plastic packaging. The GreenCycle story begins with the disposal of paper and cardboard waste from Lidl stores. Today, we are one of the leading companies for materials and energy management, environmental innovation and logistics solutions. The GreenCycle story begins with the disposal of paper and cardboard waste from Lidl stores. The Schwarz Group pools its waste disposal expertise in a newly founded subsidiary: GreenCycle GmbH collects and recycles waste from its branches and logistics centres. 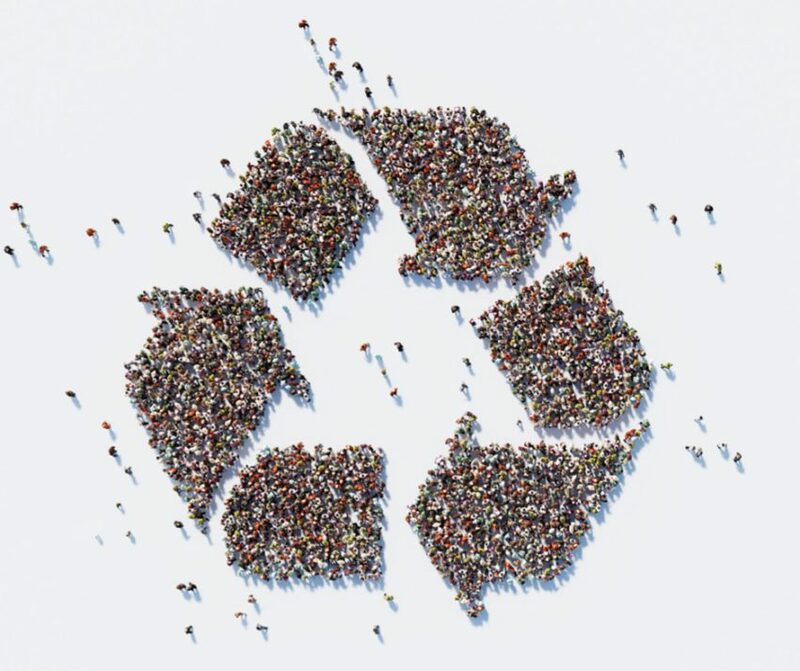 As environmental awareness grows, so too does GreenCycle's sphere of activity: strategies for waste avoidance and recycling are in demand, while other recyclable materials such as PET bottles and films are added. GreenCycle expands its activities to the Kaufland retail chain and the production facilities of the Schwarz Group. The Schwarz Group develops an innovative half-pallet as an alternative to the conventional Düsseldorf pallet: easy to use, robust and durable, recyclable and intelligent thanks to in-built RFID technology. GreenCycle begins to offer its expertise in waste management and recycling to external customers outside the Schwarz Group. GreenCycle's digital platform for the disposal of recyclable materials goes online under the name PreZero. Fast and efficient service: customers register the disposal of their waste online and receive an immediate quote. The company, based in San Diego, California, deals with the reprocessing of organic waste and plastic waste, among other things. The takeover allows more services in the circular economy to be provided from a single source: GreenCycle now has its own fleet of vehicles for the collection of recyclables and newly added sorting facilities. GreenCycle combines all of its services under the PreZero brand for external customers outside the Schwarz Group: consulting, logistics, sorting and (re)processing. 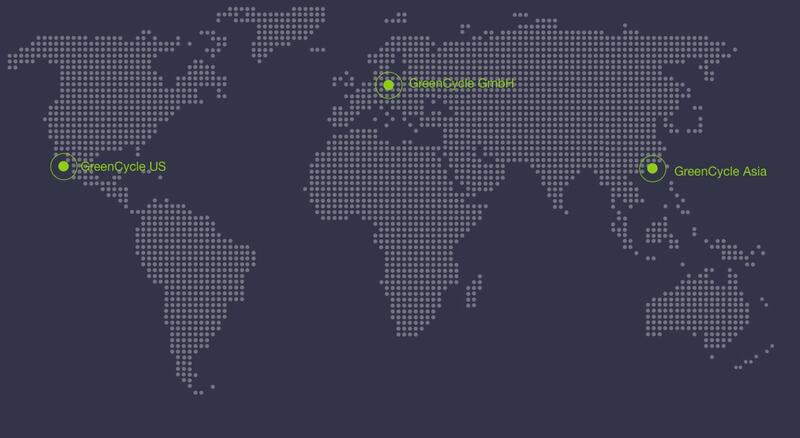 With more than 80 locations and over 3,000 employees, GreenCycle is one of the leading waste disposal and recycling service providers in Germany and Europe. Our subsidiary GreenCycle US, headquartered in San Diego, operates primarily in the western United States. GreenCycle Asia is located in Hong Kong.